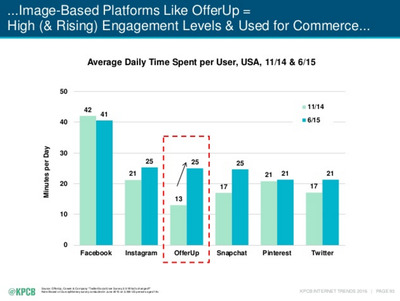 When I first saw this chart I didn't believe it. 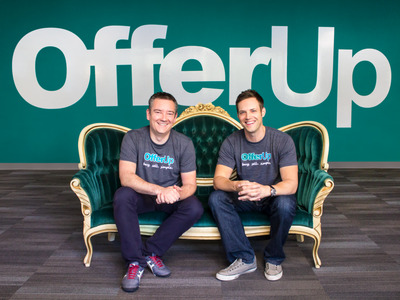 OfferUp users spend 25 minutes on average a day on the app -- the same as Snapchat and Instagram. 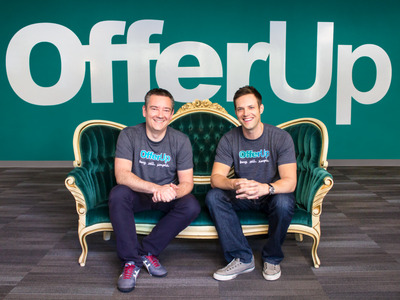 All the time spent on the app means OfferUp is growing faster than eBay's earliest years -- and rapidly too. 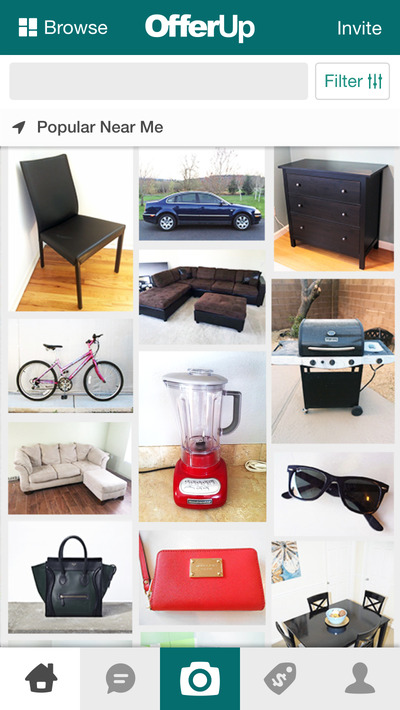 Every offer on the site comes with at least one photo (if not many). 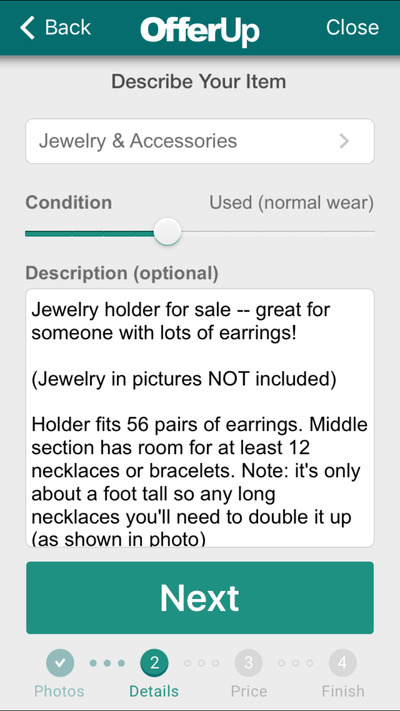 There's also information about the location, what condition it's in and the description. 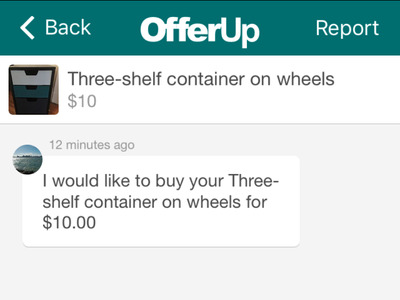 Instead of creating fake emails or phone numbers to deal with Craigslist strangers, all communication on OfferUp is kept within the app. I never had to give out my phone number since people could message me immediately -- and it was great. 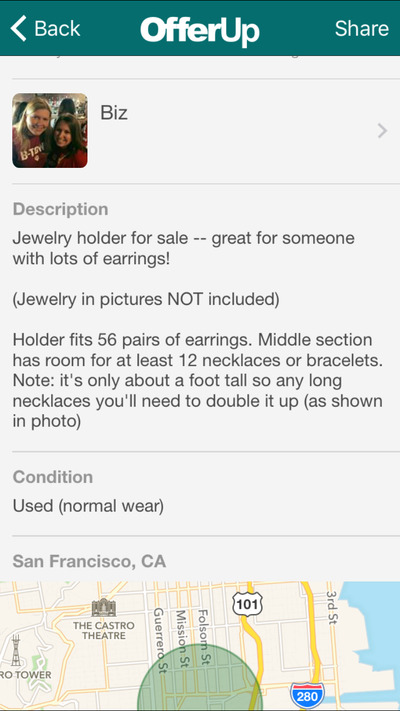 Compared to Craigslist, the image requirement means people have to post what an item looks like so you can see it. Still, just an image didn't take away some of the creep factor. 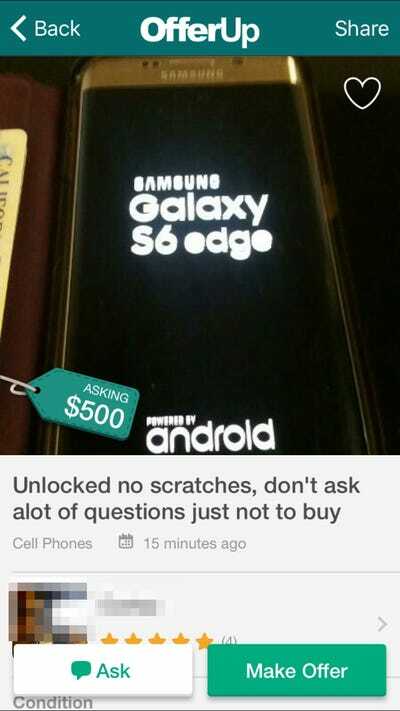 This phone listing that says 'don't ask a lot of questions' makes you wonder where the phone is from. Those were all small nitpicky complaints. 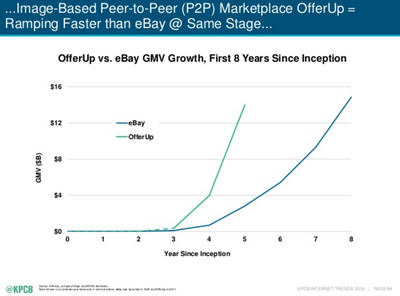 What I really wanted to find out though, is whether this was actually better than using Craigslist? 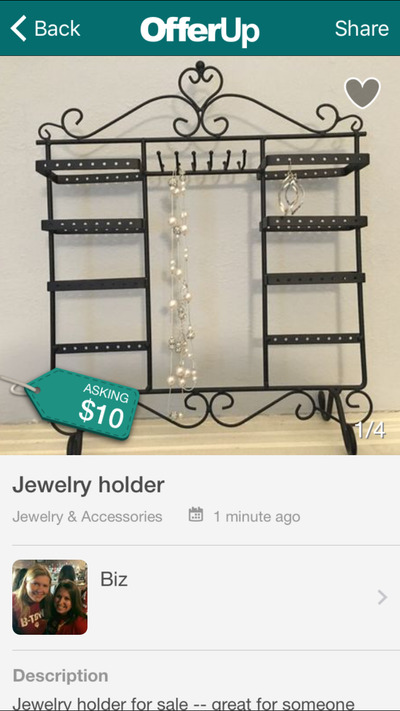 I started with selling a small jewellery holder I had leftover. 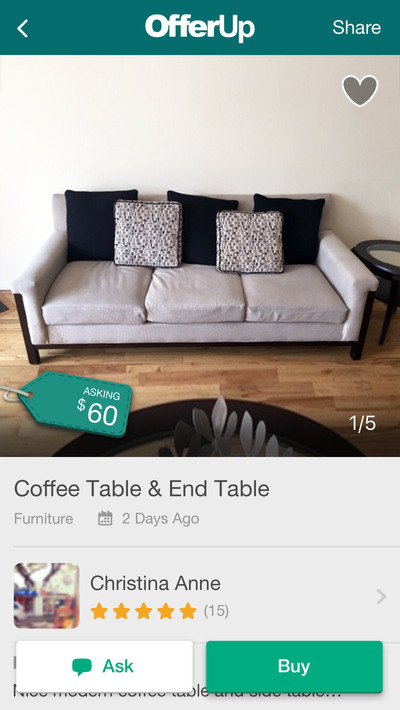 You can take photos from within the app or upload your own. 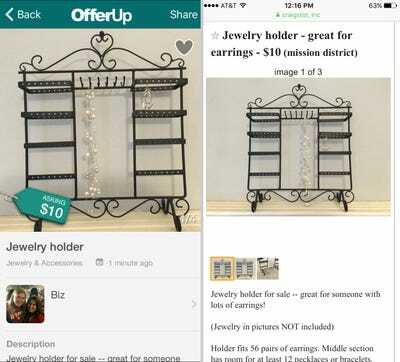 OfferUp tells you to take photos that are nice and bright, although from what I'd seen in the app, many people ignore the instructions. 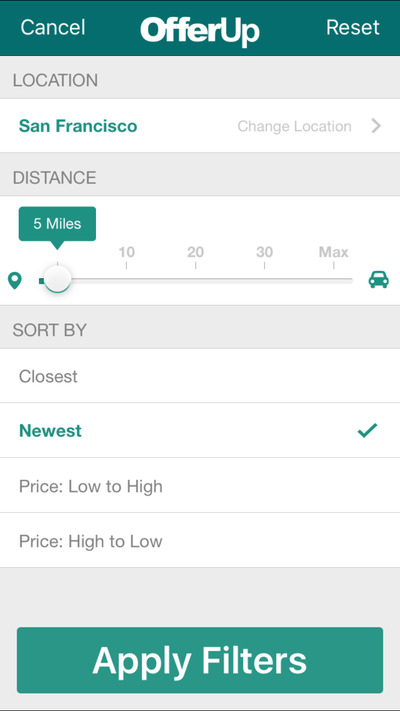 From the listing, people can see your general location (based on zipcode) along with the condition and description. 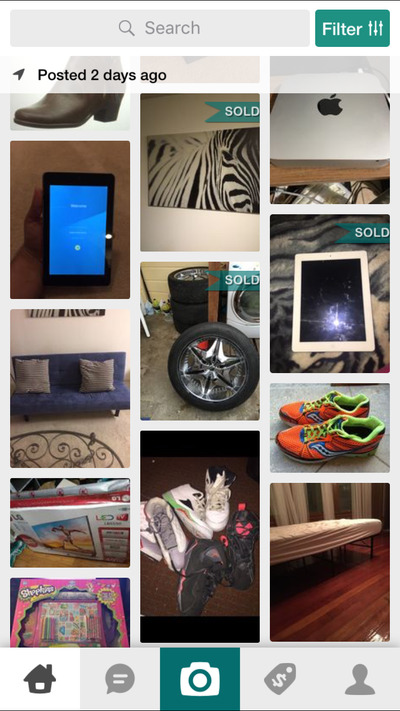 I may have been annoyed that it set the search radius so large at first, but I could adjust to see just what was for sale in my neighbourhood. 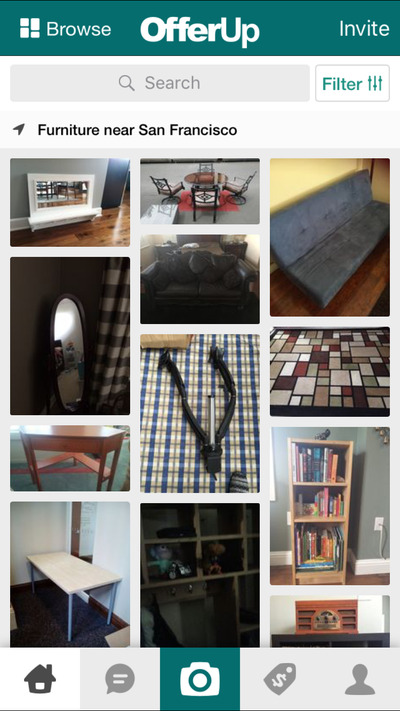 One misstep: I realised after the fact that I should have taken all of my photos vertically. 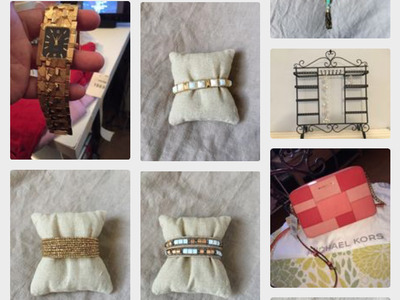 The small horizontal ones end up getting lost compared to the tall photos. Oops! 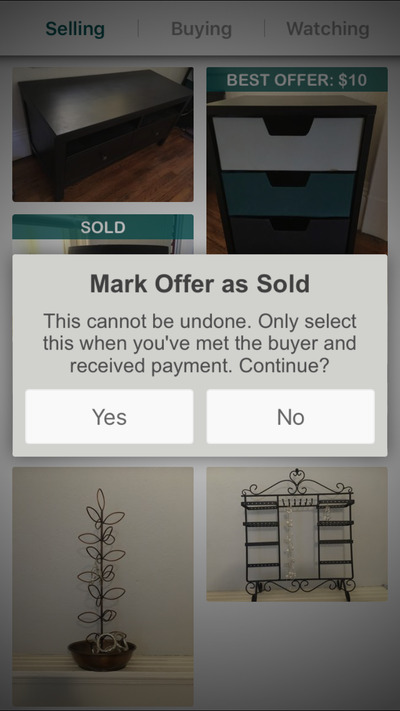 Marking it as sold also means you get a chance to rate the buyer or say you sold it elsewhere. 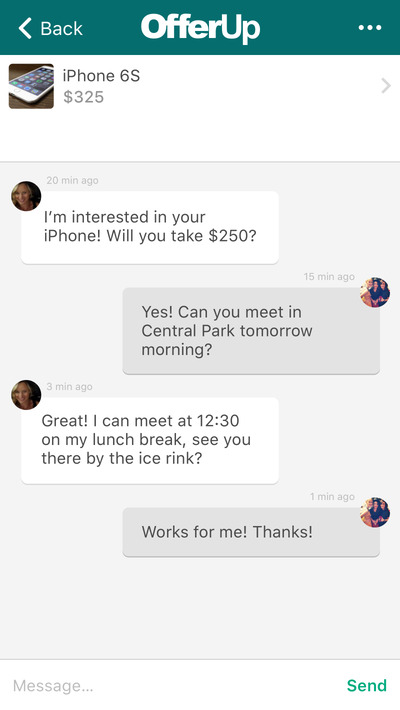 I wish there was a way to rate some potential buyers -- like those who flaked on meeting me -- but it's still a step up from Craigslist. 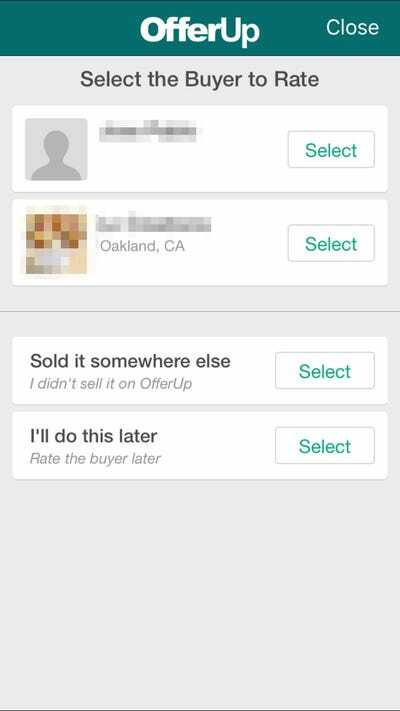 From a seller's perspective, OfferUp has a real shot at killing Craigslist. 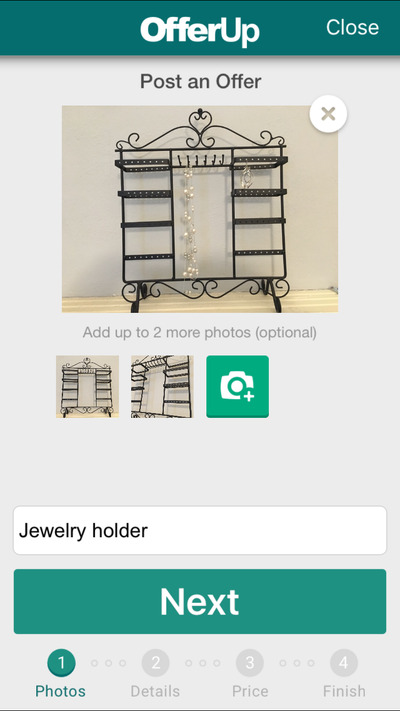 I thought I would try just the jewellery holder for a test and I ended up posting five different items. I only managed to post one on Craigslist before I decided OfferUp was the one worth my time. Plus, the extra safety features of having verified and rated IDs made it easy to know which people were worth responding to and which people should maybe be avoided. 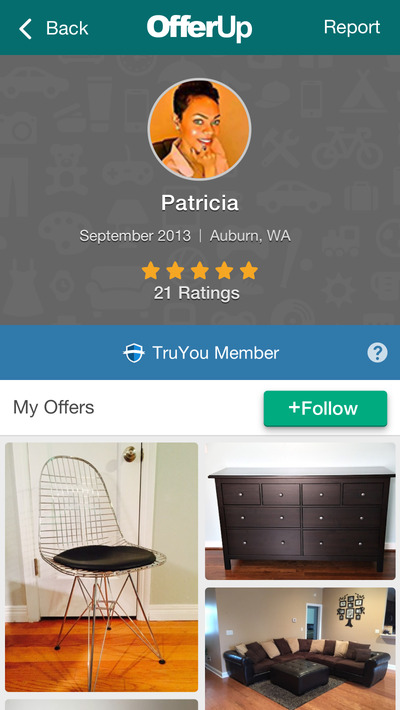 Now that I have my own five-star rating, I'm going to stick to selling on OfferUp -- it's just easier.